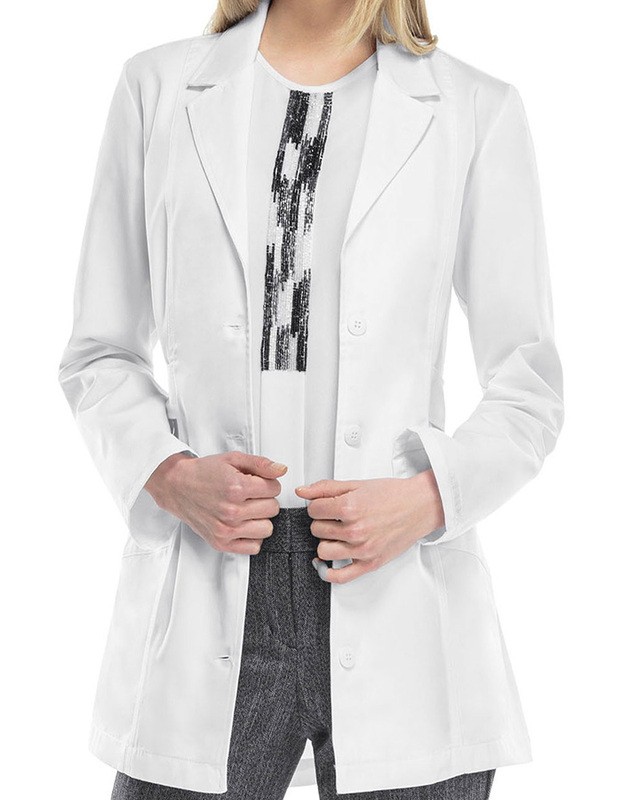 Get a professional look with this affordable short lab coat from Cherokee. 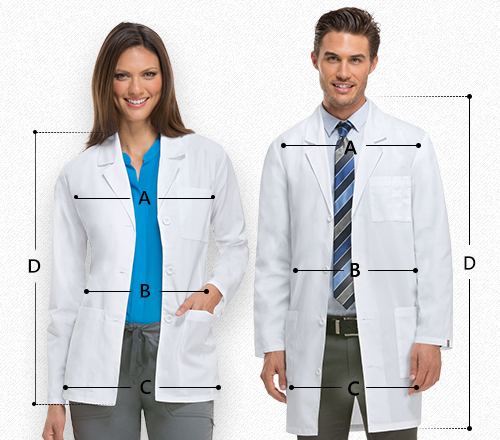 Its fabric is very soft, and it is loaded with performance features that could help you stay on the top. It has notched collar with two front angled pockets, front princess seams, back yoke, and stylish back belt with button that complete the look of this top.